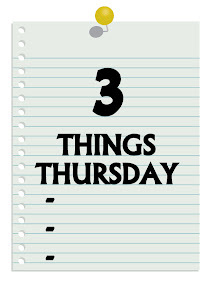 Marley and Me [Three Things Thursday] – my books. my life. 1. When John and Jenny decide to get a dog (to test their parenting ability), they have no idea what they were in for. Marley becomes a very energetic dog who always seems to be causing trouble. Yet the family can’t help but love him. 2. Um, sobfest. I’m sure you all know that this one is a tearjerker by now, but I can’t not mention it. I read it in the car on a road trip and I just sat there in the passenger seat sobbing. I might be tearing up just thinking about it now. 3. As a lifelong pet owner and animal lover, I really appreciated the memoir. The trouble Marley causes along with the joy he provides is a wonderful look at life with a dog (although Marley is a bit extreme). 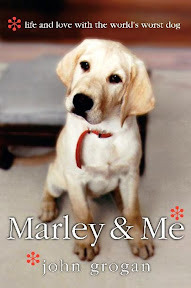 *I chose Marley and Me this week to keep with the memoir theme I accidentally had going this week. I didn’t read this book, but I did watch the movie, and you are absolutely right, it was a total sobfest. I sort of don’t like animal books, because they all seem to have the same ending. The animal dies, and I am left closing the book and bereft. Nononononononononononono no! I can’t go there. We had a yellow lab, she died, and I’m still damaged 8 years later. I can’t even talk about her without crying, so I know without a doubt this book would DESTROY me. The Art of Racing in the Rain proved that. That one destroyed me too.